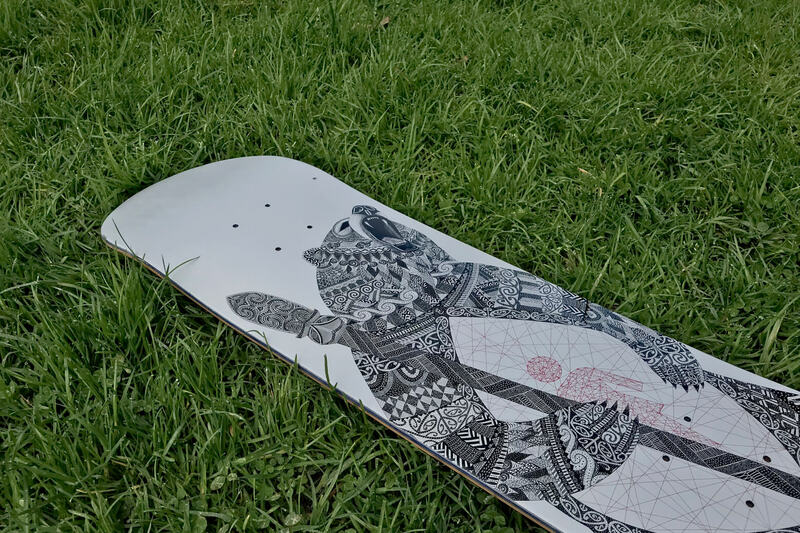 Adobe and Girl Skateboards were looking for five students to intern and create their next line of boards. As one of the selected five my internship was completed remotely, communicating with Girl's Art Director, Andy Jenkins. The boards were available in stores worldwide in 2015. The brief for this project was very open with only two constraints: that it had to be of similar style to the original entry illustration and to include pro-skater, Eric Koston’s name. I started by brainstorming and writing down all my ideas. I find it easier to start with words and then pair those words with visuals. From the ideas in the brainstorm I quickly sketched out small thumbnail concepts to start testing which layouts and compositions would work best on the unique shape of a skateboard. I was able to test out a number of concepts and narrow down the ones with the most potential. I took the two strongest concepts and drew them larger to refine the details. As the only New Zealander selected for the project I wanted to incorporate some of our culture and used books to reference traditional Māori patterning. Refining the sketches meant that I was able to follow a plan once the final illustration began. With the strongest idea chosen I finally moved to the digital realm to create the final design. With the refined sketch as reference, I used Adobe Photoshop and a Wacom Bamboo tablet to draw the design. Trial sketches were also made on paper to test ideas before putting them on screen. I worked predominantly at 300% zoom in order to have as much detail incorporated into the design as possible. This has been one of the most rewarding projects I’ve worked on. To see something that you worked tirelessly on being sold in shops around the world is an amazing experience. 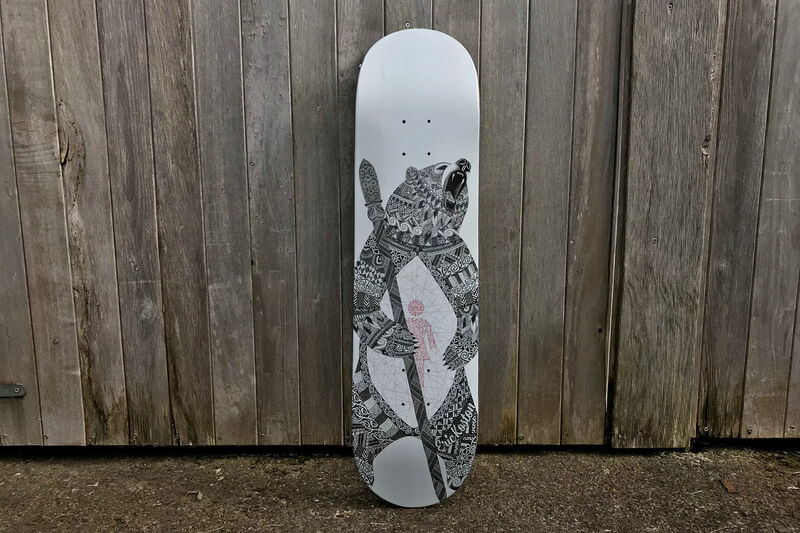 The Adobe x Girl Skateboard series was a limited edition run with 5 different boards (made by 5 different students) and were a sell out everywhere.